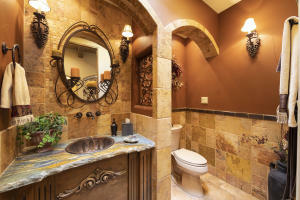 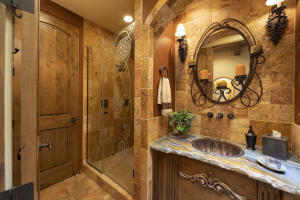 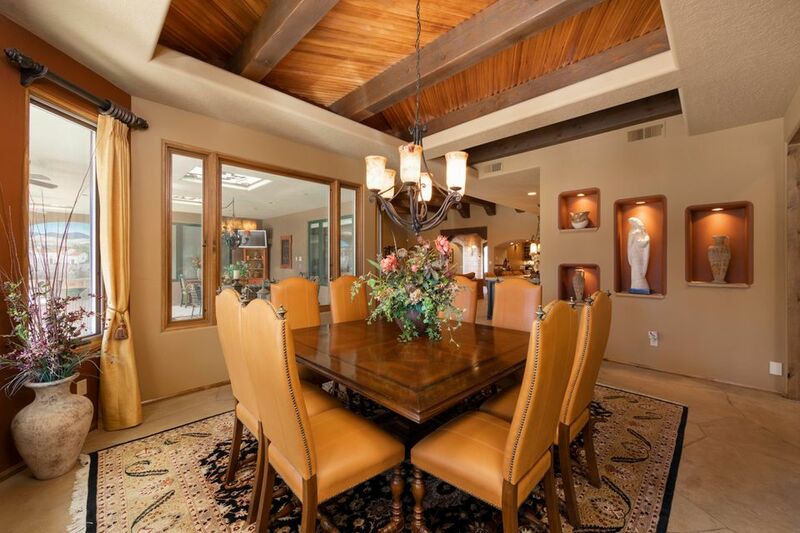 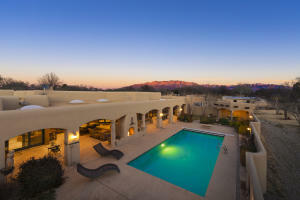 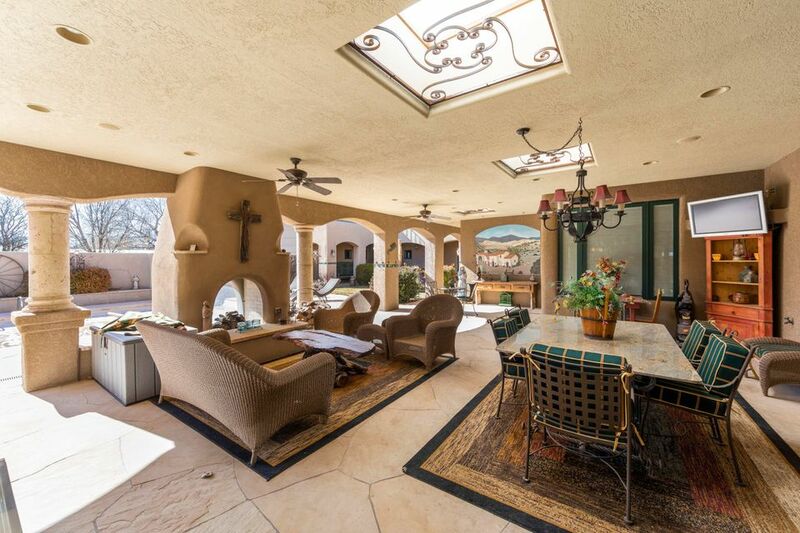 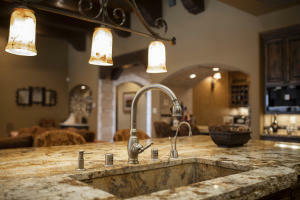 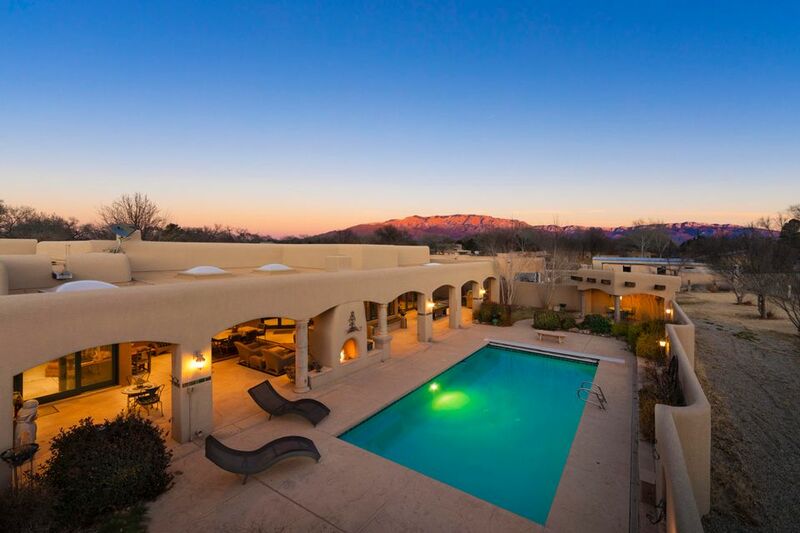 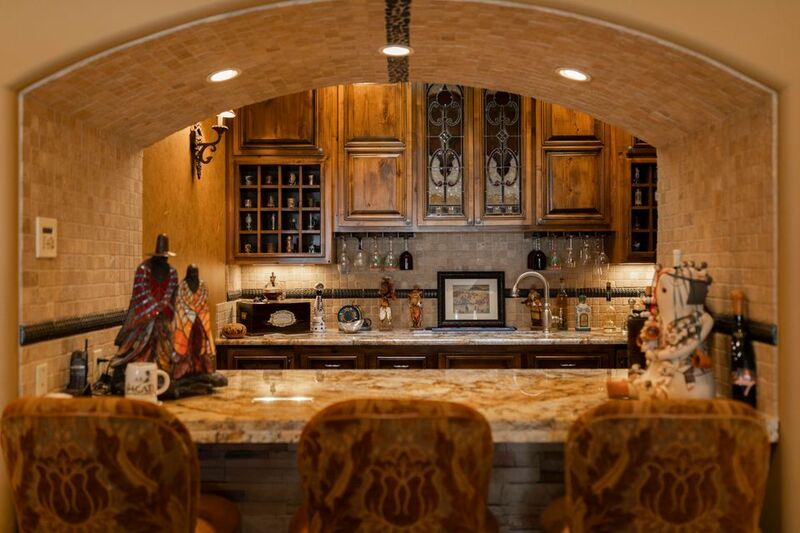 Exquisite Luxury Estate by Homes by Marie on a fully gated 1.1 acre property! 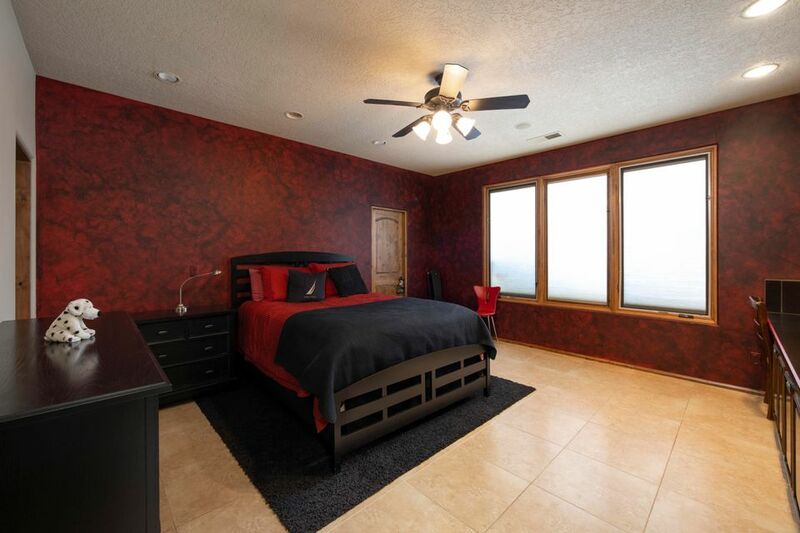 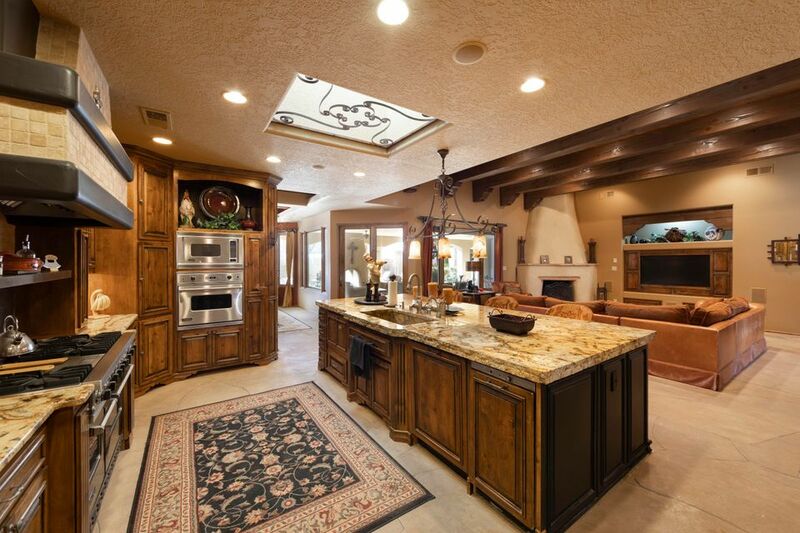 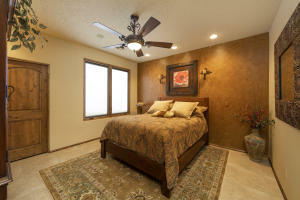 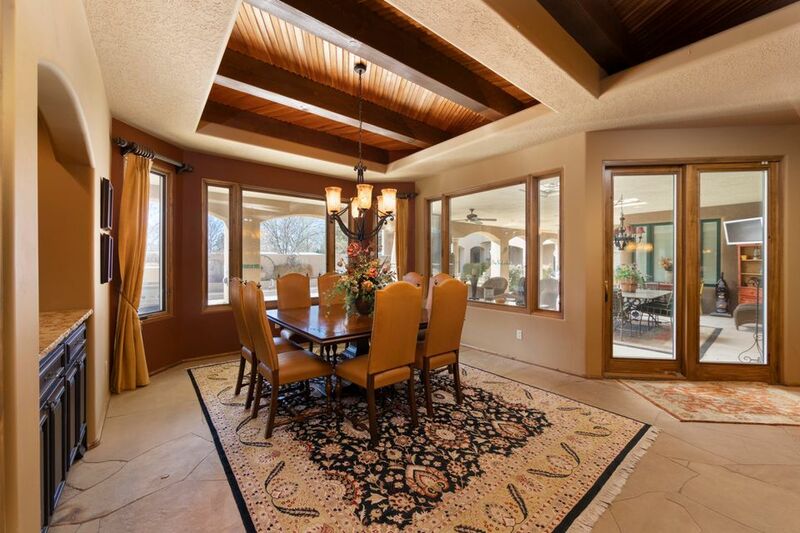 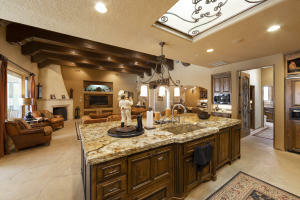 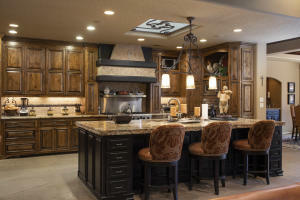 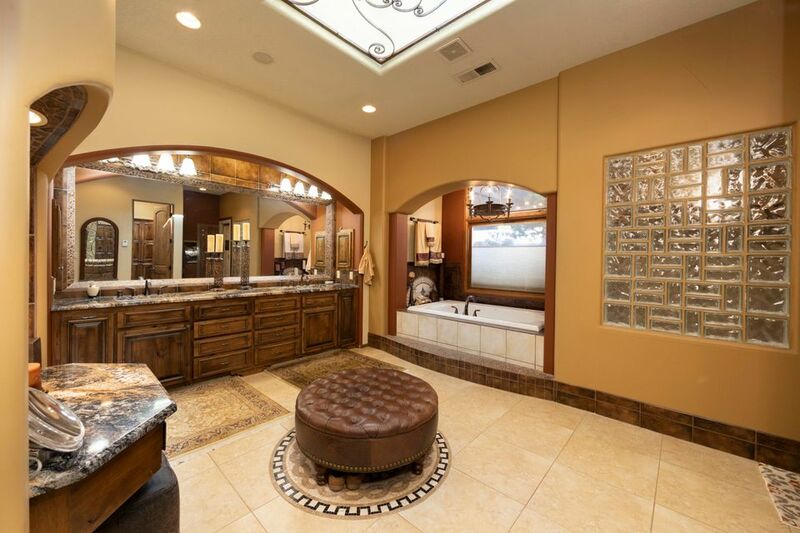 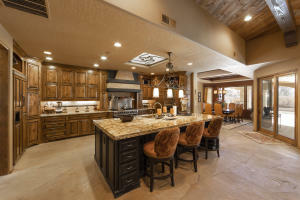 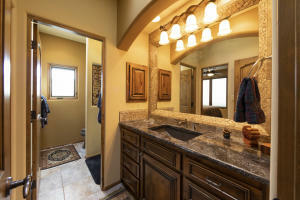 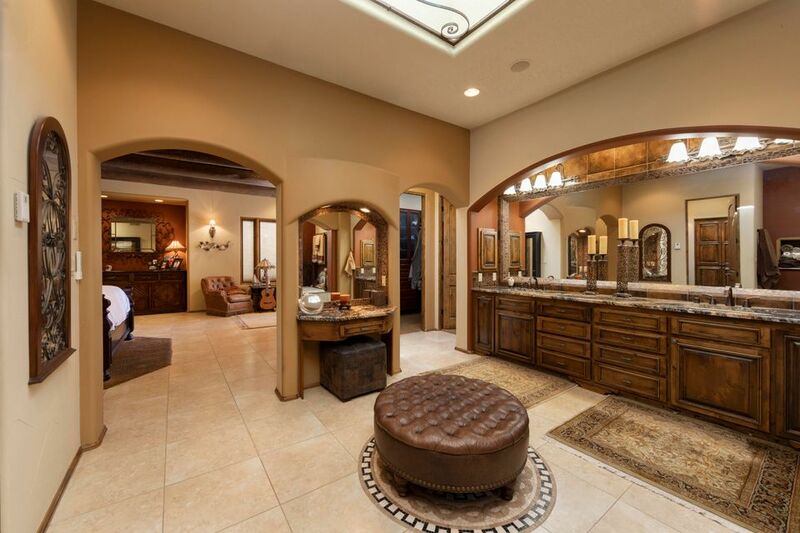 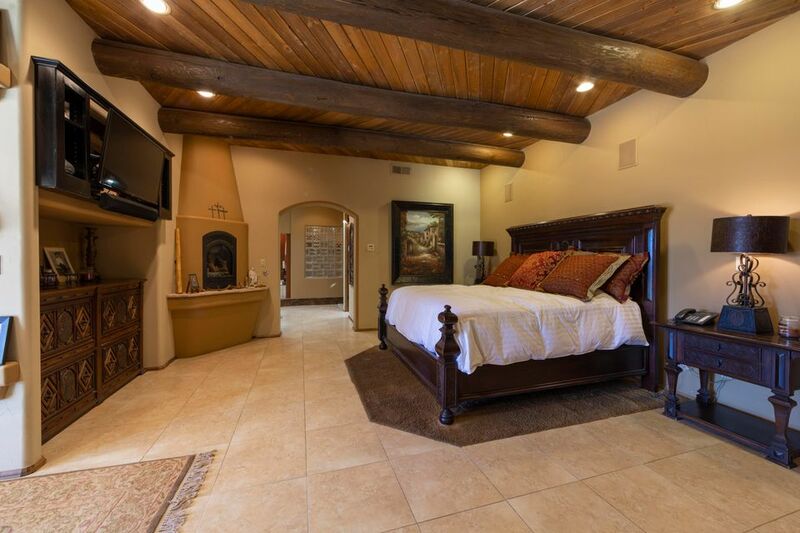 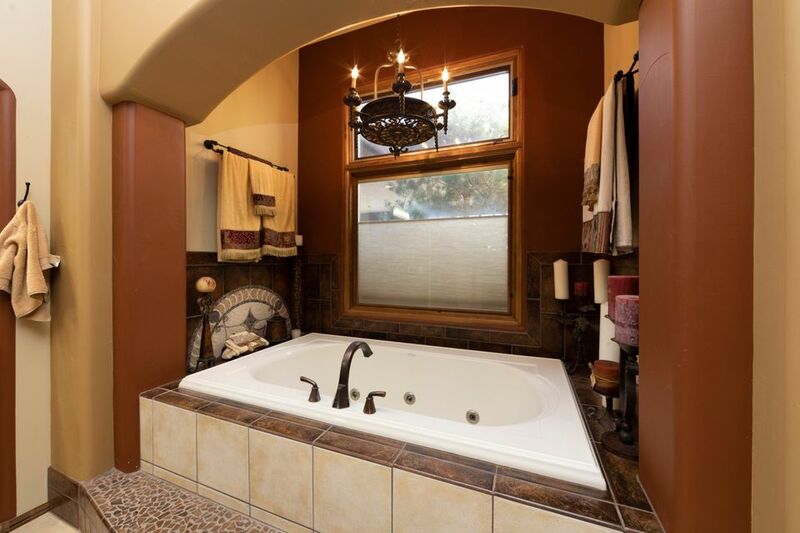 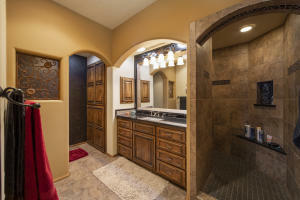 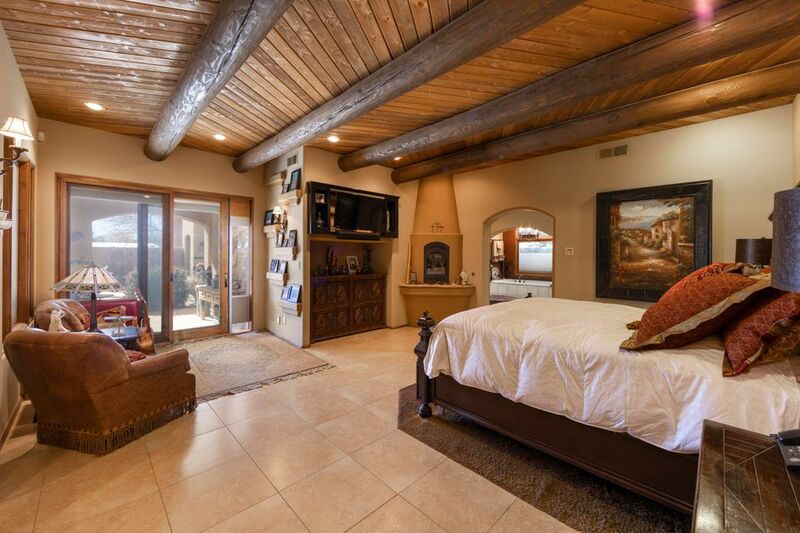 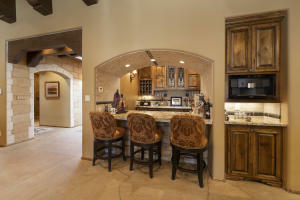 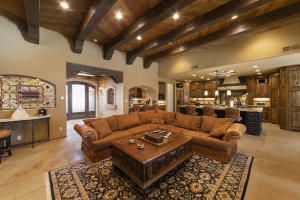 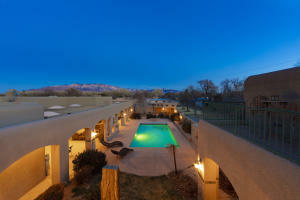 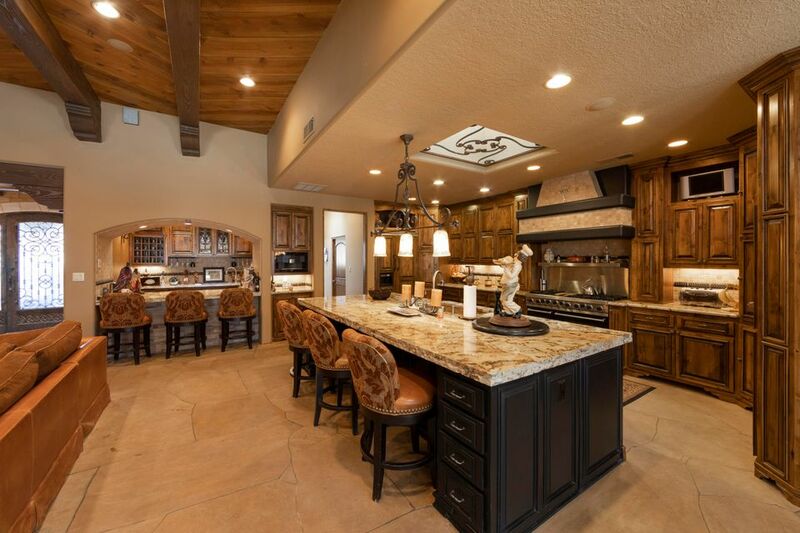 4,991sf of pure elegance & custom finishes throughout! Gorgeous living area with a stunning herringbone patterned wood beamed ceiling w/ custom vigas, fireplace & flagstone flooring that flows into the kitchen. 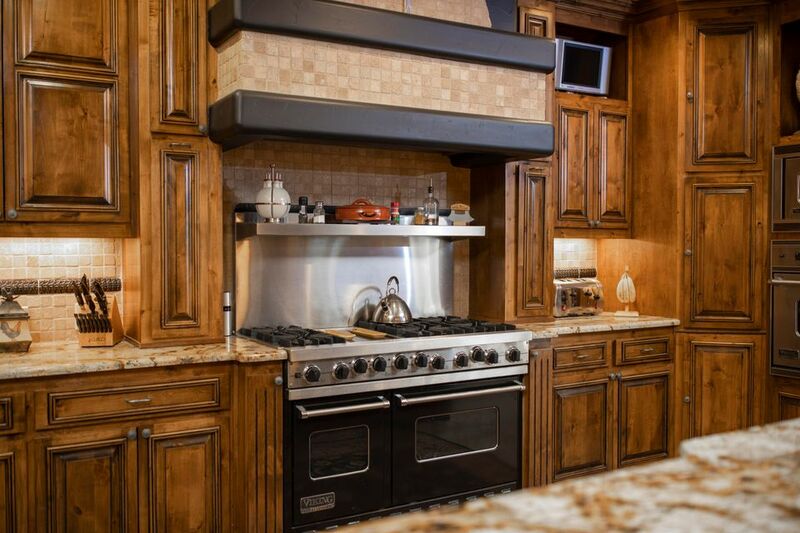 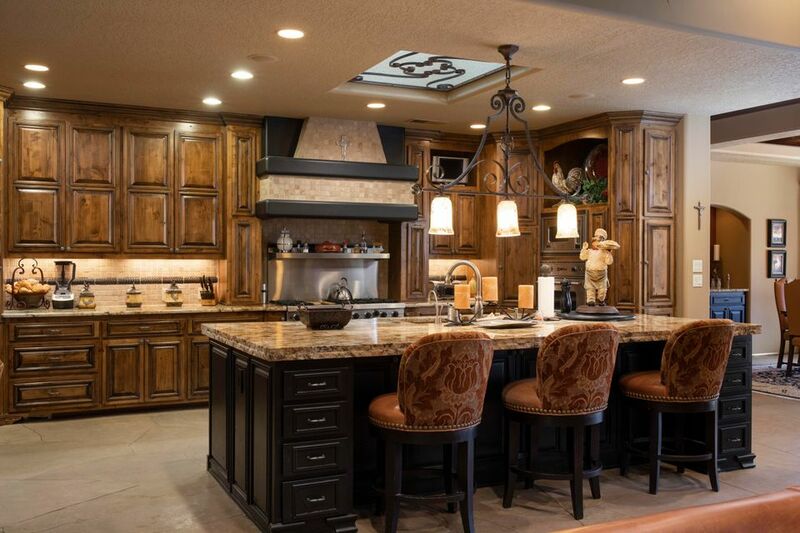 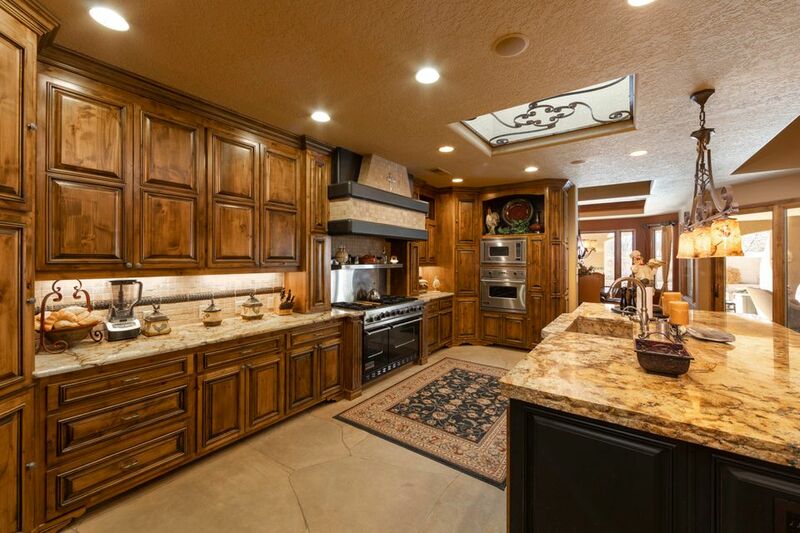 Gourmet kitchen w/ designer cabinetry, high level granite, commercial grade range, built-in oven, microwave, built-in fridge, hand crafted custom range hood & a large island w/ seating. 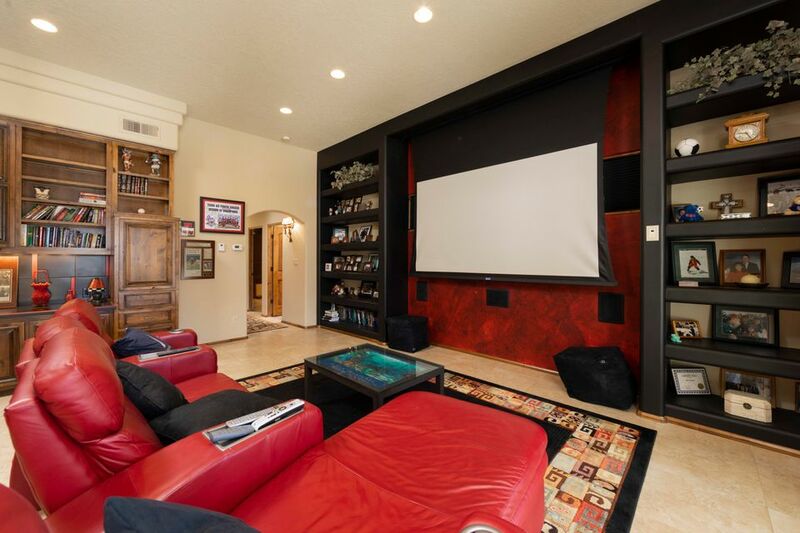 Enjoy a glass of wine at the full bar, a movie night in the home theater or a workout in the private gym. 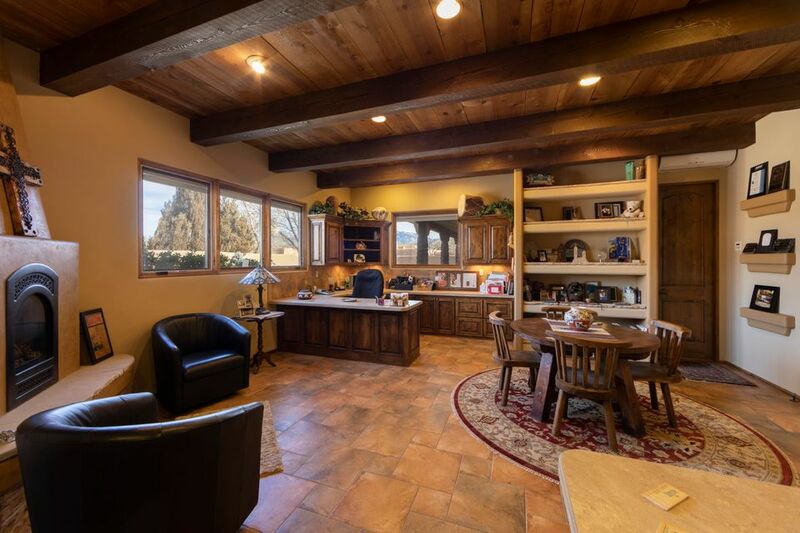 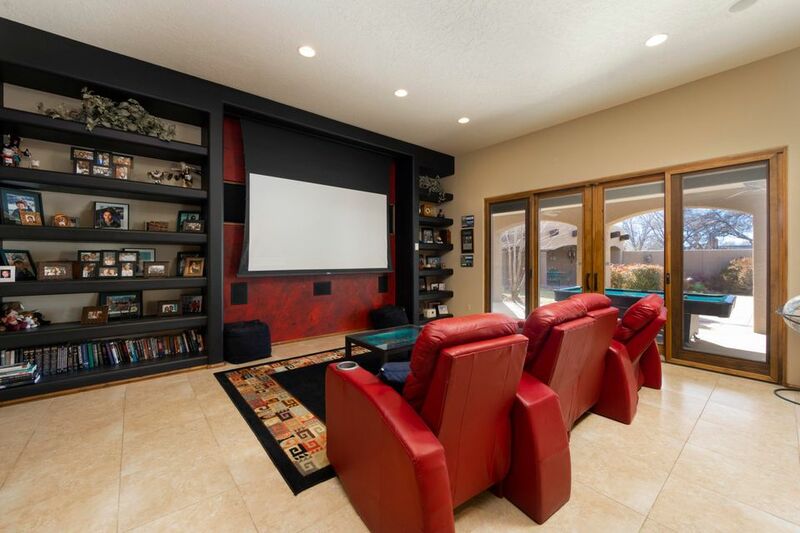 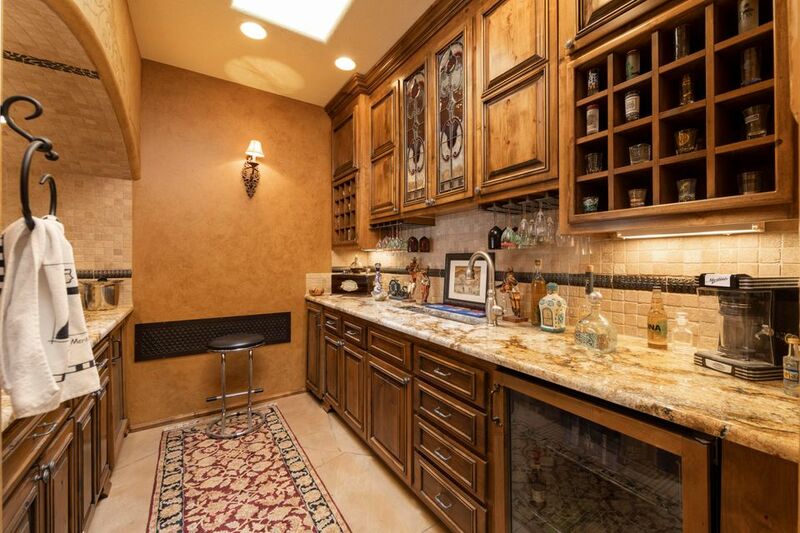 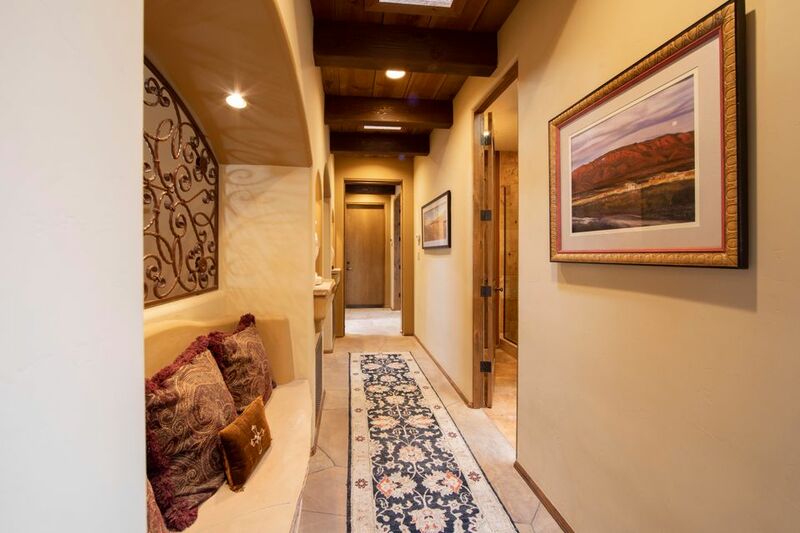 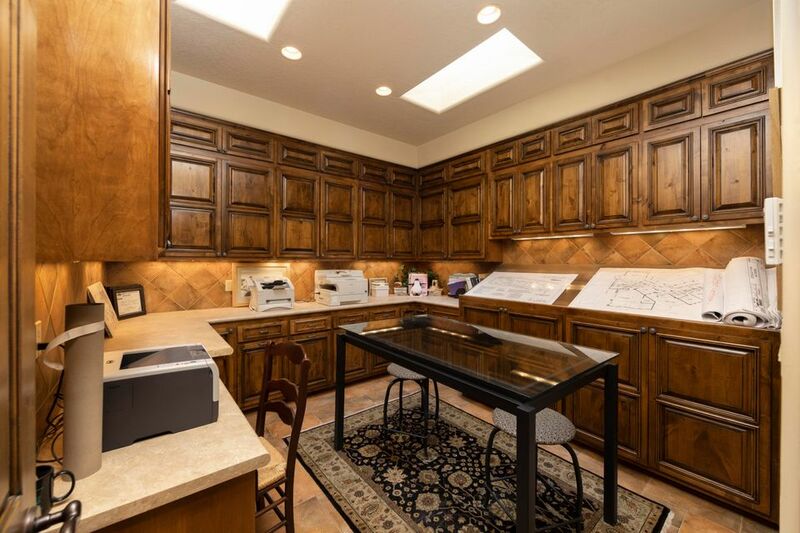 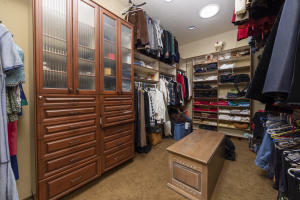 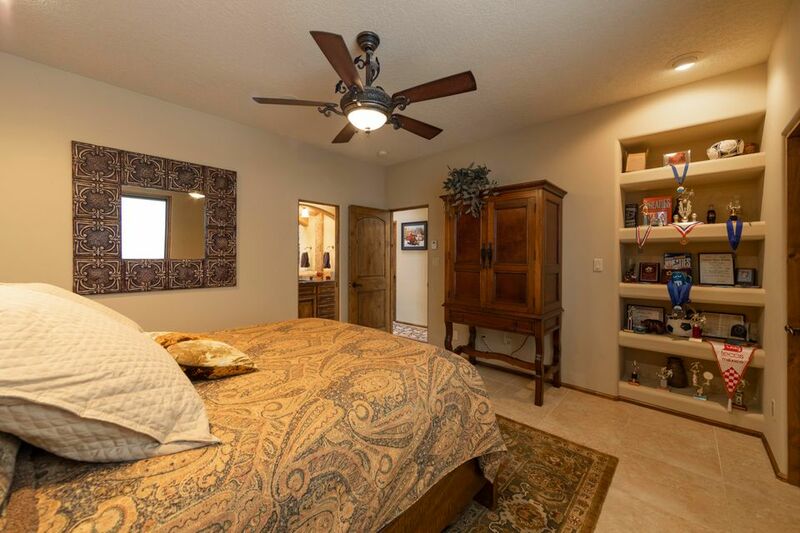 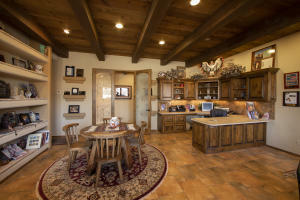 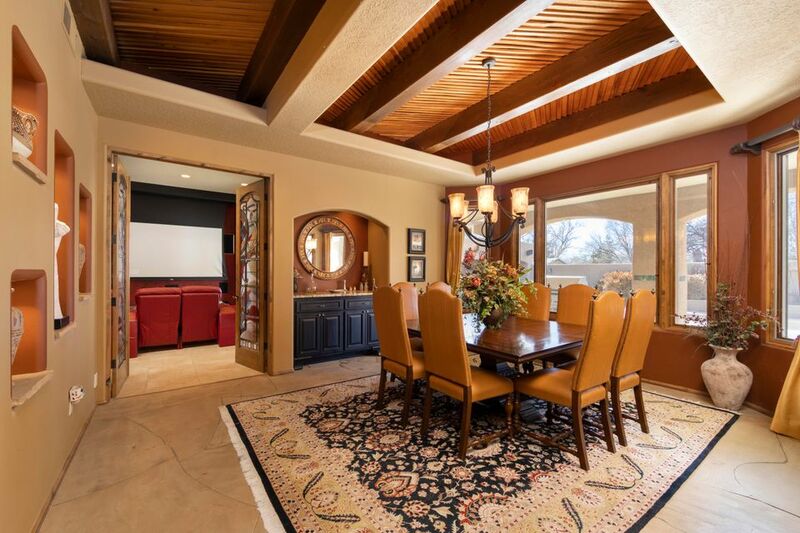 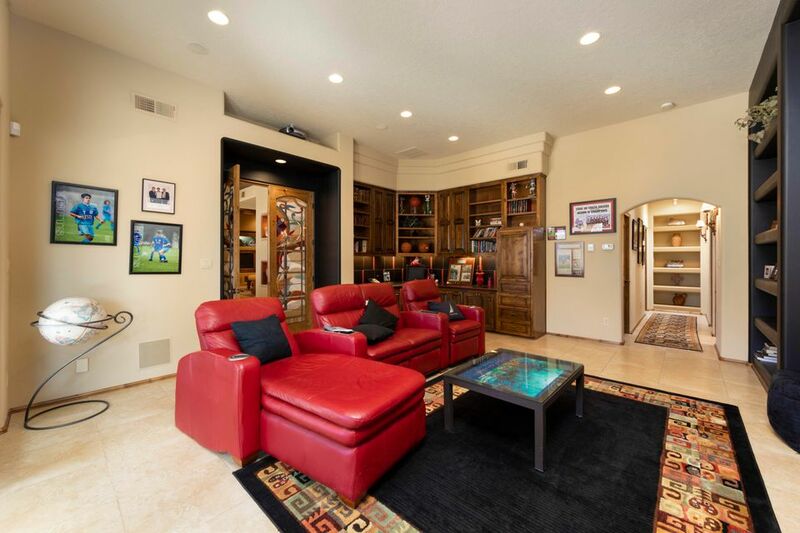 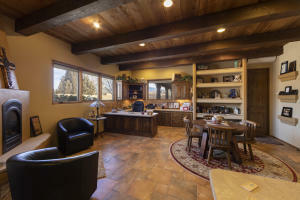 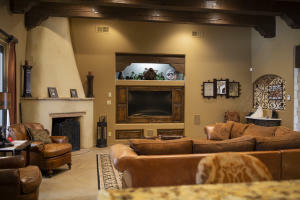 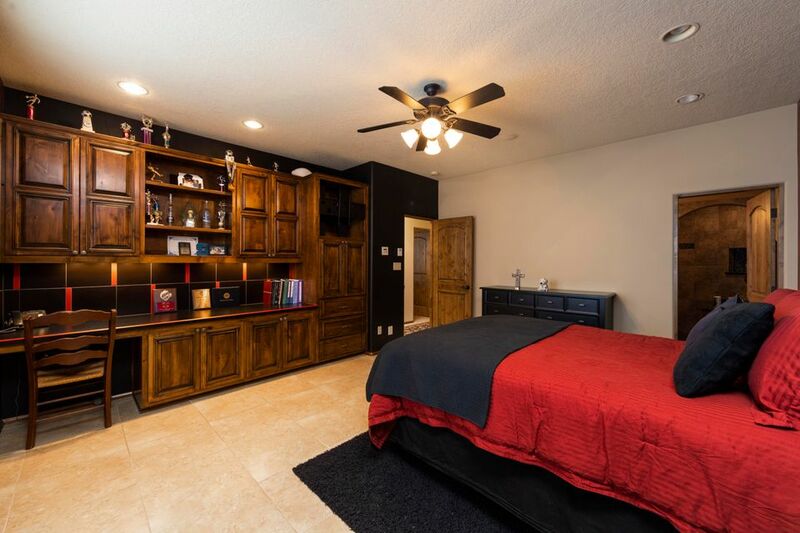 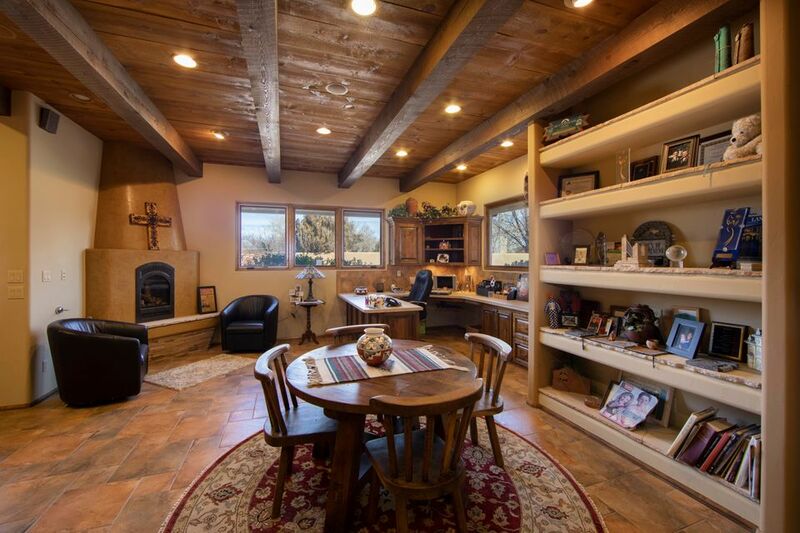 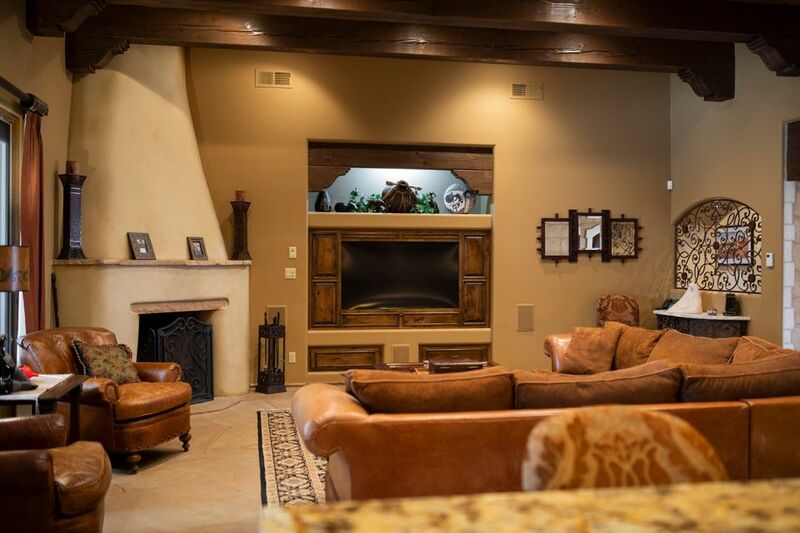 Amazing home office w/ built-in work station, fireplace & additional print/storage room. 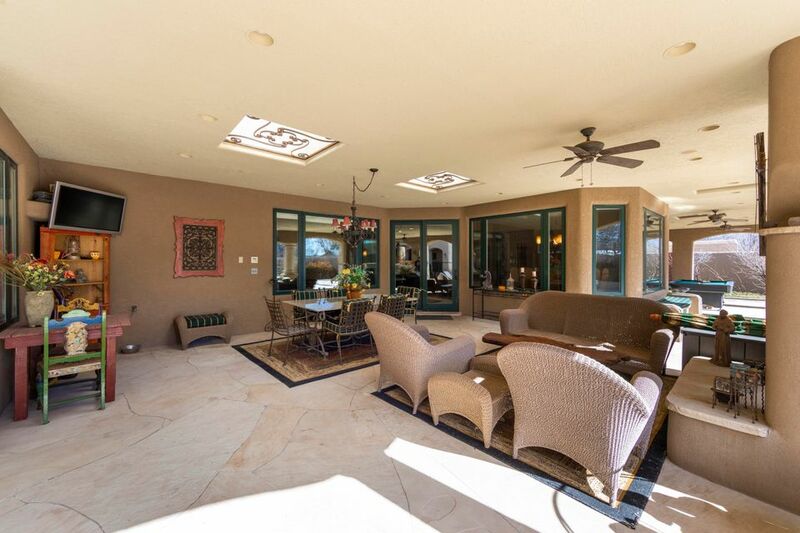 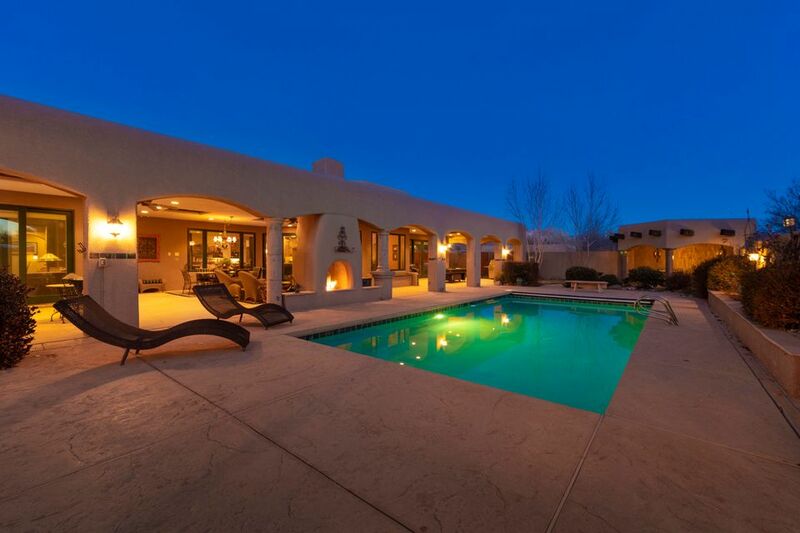 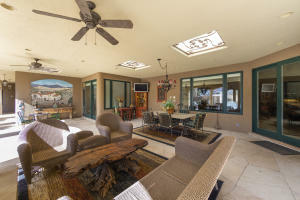 Fabulous outdoor living space w/ a 2 sided fireplace, roof top deck, heated swimming pool! 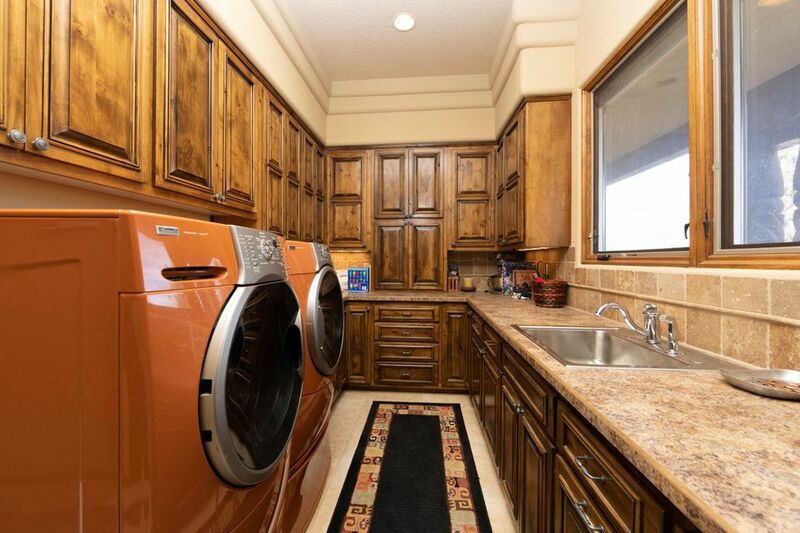 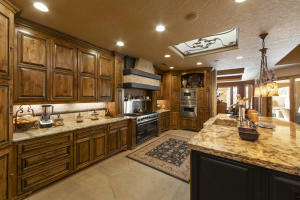 6 car heated garage and a RV garage! 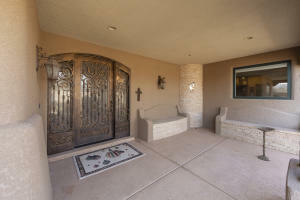 Directions: From Alameda & North Rio Grande Blvd: North on Rio Grande. Follow it all the way north and it will wind to the left, becoming Los Cansados. 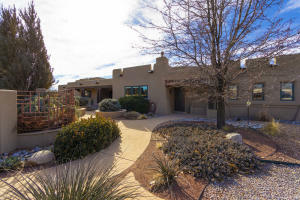 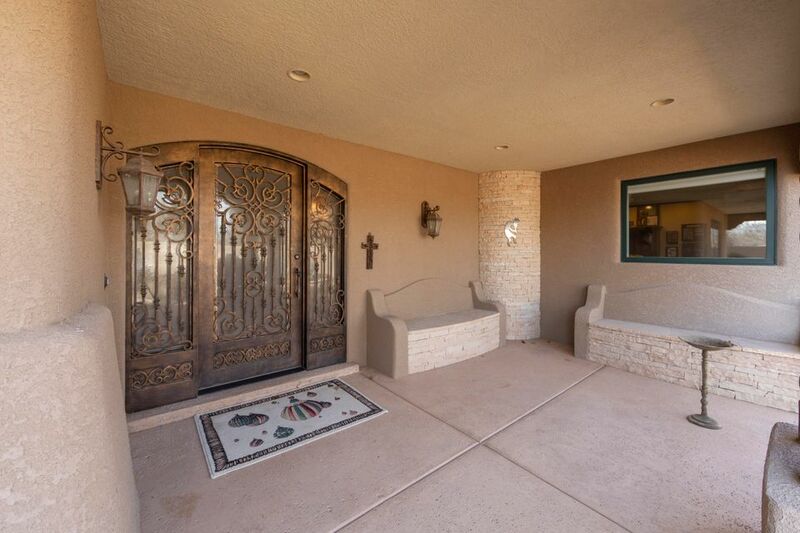 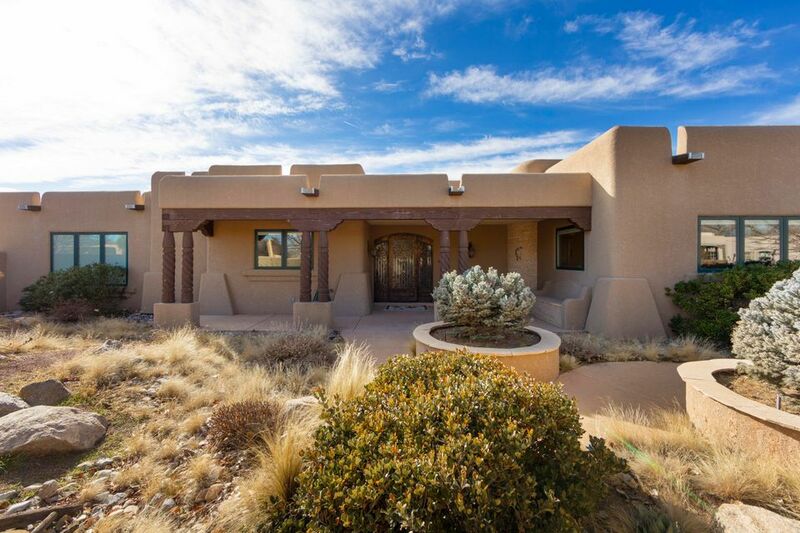 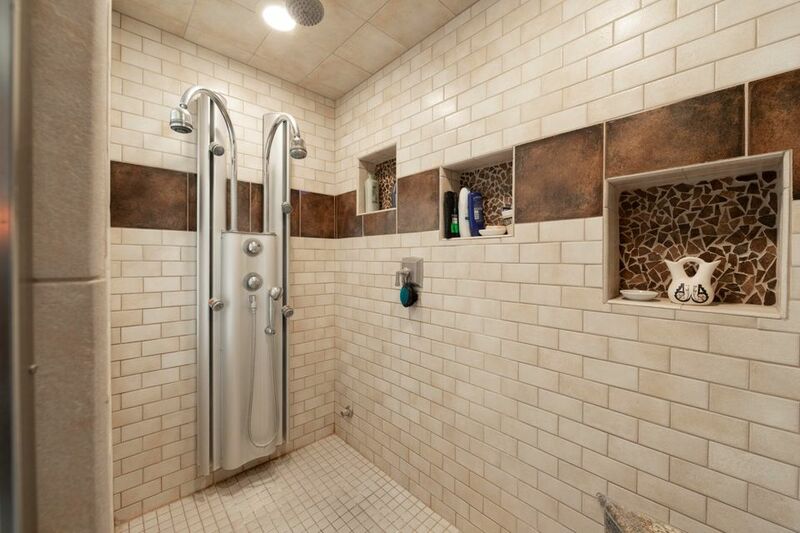 This treasure is discovered in a prime cul-de-sac lot on your left / south side of Los Cansados.